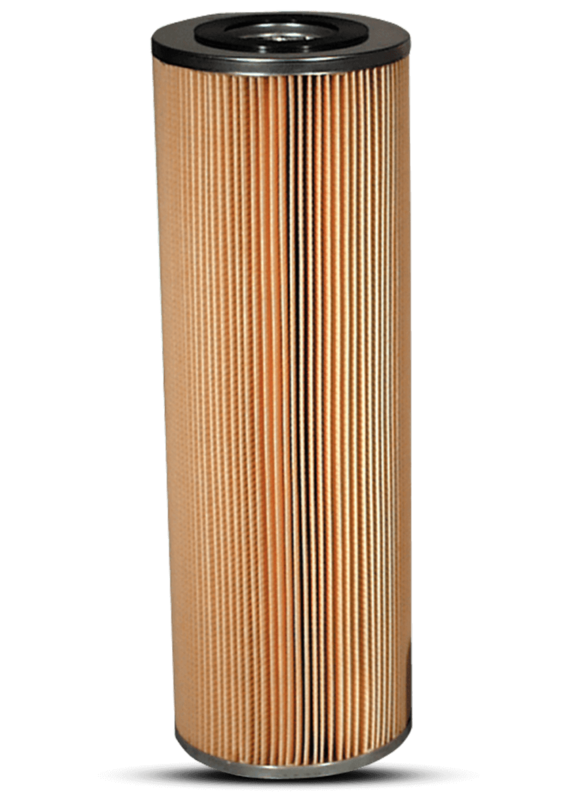 PetroClear® models 61805EW, 61810EW and 61830EW are particulate removing and water sensing replacement element type filters designed for aftermarket, cost efficient particulate filtration of fuels at high volume fueling locations such as truck stops, card lock sites, and industrial and commercial applications. 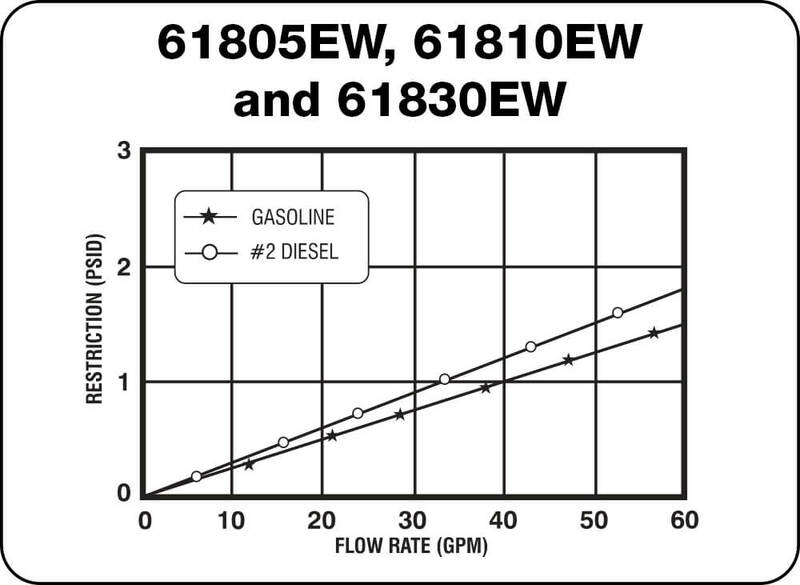 The 61805EW, 61810EW and 61830EW are designed to remove particulate and to sense both free and emulsified water from neat gasoline, diesel, Biodiesel, ULSD (Ultra Low Sulfur Diesel), Kerosene and fuel oils. 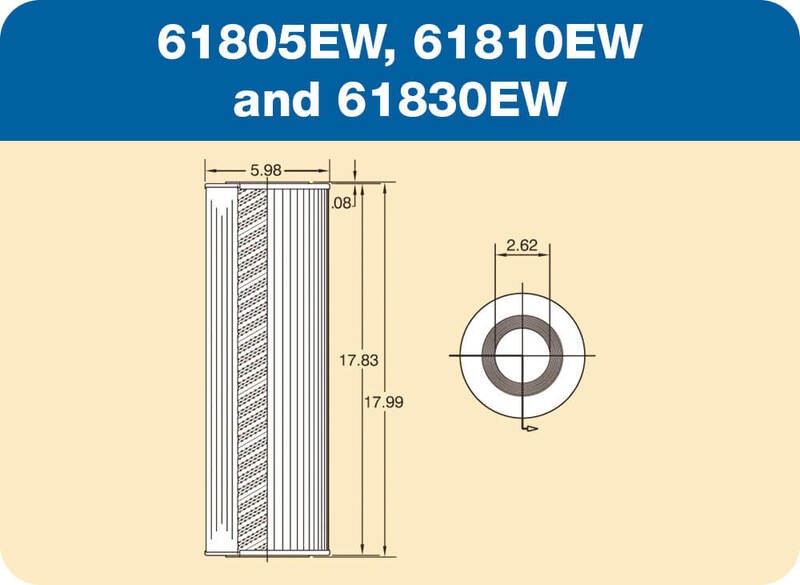 PetroClear® models 61805EW, 61810EW and 61830EW are particulate and water sensing replacement element type filters. Thesefilters are designed to sense water, both free and emulsified, and slow flow as an indicator of the presence of water in neat gasoline. This filter will not sense or react to water in Ethanol blended gasoline. PetroClear® model 61805EW filter offers efficient 5 micron (nominal) particulate removal and senses both free and emulsified water. PetroClear® model 61810EW filter offers efficient 10 micron (nominal) particulate removal and senses both free and emulsified water. PetroClear® model 61830EW filter offers efficient 30 micron (nominal) particulate removal and senses both free and emulsified water. PetroClear® models 61805EW, 61810EW and 61830EW will not detect phase separation should it occur in Ethanol blended fuels. The PetroClear® model 61805EW utilizes a 5 micron (nominal) cellulose super absorbent media to remove particulate and sense water in neat gasoline, Diesel fuels, Biodiesel and ULSD (Ultra Low Sulfur Diesel), kerosene, lube oils, fuel oils, and synthetic fluids. Removes particulate 5 microns (nominal) or larger. The PetroClear® model 61810EW utilizes a 10 micron (nominal) cellulose super absorbent media to remove particulate and sense water in neat gasoline, Diesel fuels, Biodiesel and ULSD (Ultra Low Sulfur Diesel), kerosene, lube oils, fuel oils, and synthetic fluids. Removes particulate 10 microns (nominal) or larger. The PetroClear® model 61830EW utilizes a 30 micron (nominal) cellulose super absorbent media to remove particulate and sense water in neat gasoline, Diesel fuels, Biodiesel, ULSD (Ultra Low Sulfur Diesel), kerosene, lube oils, fuel oils, and synthetic fluids. Removes particulate 30 microns (nominal) or larger. 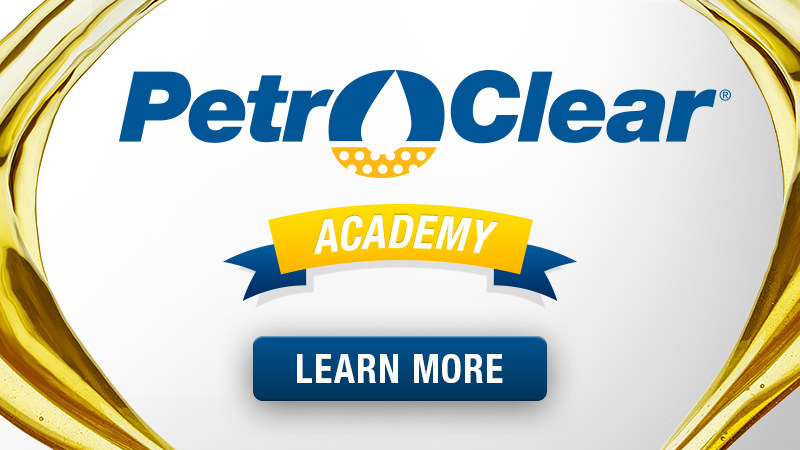 The maximum flow rate for PetroClear® models 61805EW, 61810EW and 61830EW is 120 gpm (450 lpm). Maximum operating pressure is 50 psid (3.4 bar). PetroClear® models 61805EW, 61810EW and 61830EW replacement elements fit the Cim-Tek®, Commercial, Cuno, Facet, Hilco, Hycon, Hytrex, Kaydon, Nugent and Peco housings and other brands with a 6" x 18" element. If you experience frequent filter changes, it is recommended that you have fuel samples analyzed to determine the source of contamination, such as water, dirt, rust, bacteria, phase separation, etc.